Still Life painting teaches you how to look at objects and see them with a conscious awareness of their outline, shape, proportions, tone, color, texture, form and composition. 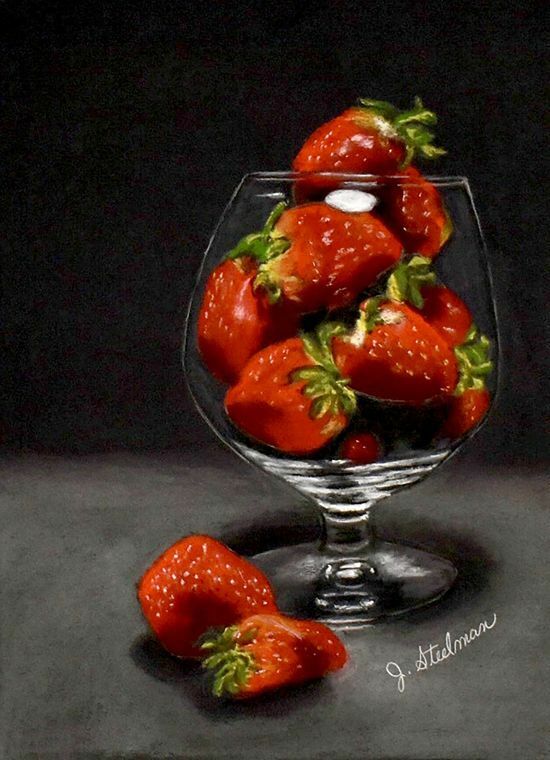 These still life paintings can help you in other genres as well as produce very pleasing paintings for display. Pastel is dry medium applied in layers resembling other painting mediums. Like opaque paints, pastels can be layered and applied to cover previous applications. Mixing mostly happens on the surface as layers are applied. Soft Pastels: Mungyo Gallery. I like the handmade best but others will work. If you already have other brands such as Sennelier, Schmincke or Unison, they will also work well. This class is not for oil pastels. Faber Castel PITT Pastel Pencils. Please let Jane know if you have any questions (jds@steelmanstudios.com).